An exploration of humanity's increasingly questionable relationship to, and distance from, the natural world. Imagery of wolves and Irish wolfhounds sits in contrast to historically important locations in Ireland and Germany, including the site where the last Irish wolf was killed in 1786. Abstract shots of rural landscapes at night alternate with close-up observations of wolves in a nature reserve. A dull, barren mountain landscape filmed at dawn envelops minimal concrete forms. These traces of supports and structures are part of a former Belgian (and then German) cold war missile base. These physical remnants offer an example of our fear-driven mistreatment of the landscape and become a contemporary archaeological testament to the global theatre of war and the extent of cold war western paranoia. The minimal nature of each shot is designed to create both visual poetry and tension: a close-up of a slug is followed by an ominous dark landscape, noisy cars pass by on a black, rainy road and are staggered by the quiet of the night sky above Mount Leinster. The journey continues from these romantic tableaus to the intimate footage of wolves and wolfhounds - dogs originally bred for killing wolves and also favoured amongst the British in Ireland. This imagery gives us access to the animals but by showing mainly details, restricts the viewer and poses questions about our mutable roles as observer, protector and ultimately consumer. 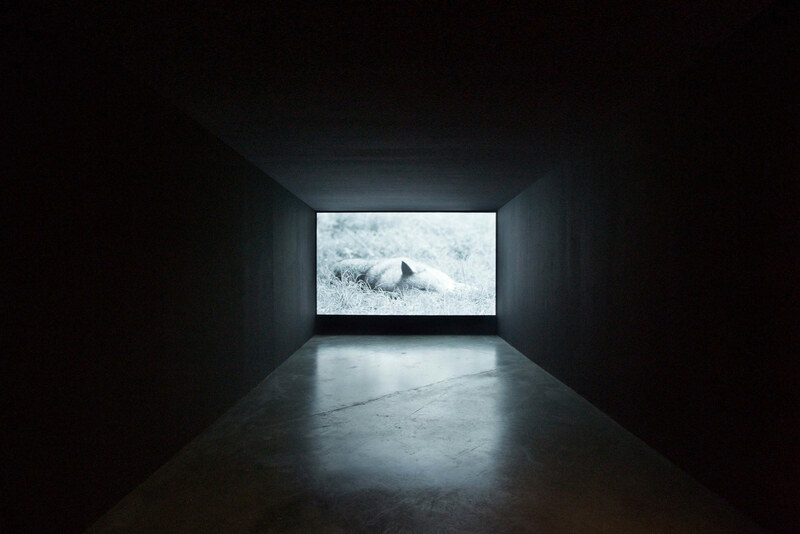 The music and sound design alternates between ambient sounds (wolves walking, wind blowing, cars passing) and the minimal score made in collaboration with Irish composer Brian Crosby. The opening voiceover by Irish actor Cillian Murphy sets the tone for the film and includes historical texts from the period of the commodification of wolves in Ireland. The idea of the systematic extermination of the Irish wolves allows a wider global discussion to take place around ideas of ecology, consumption and extinction.